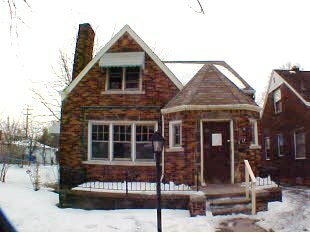 6717 Grandmont Ave. is available for purchase as a bank-owned foreclosure from Fannie Mae Home Path. While this 1,440 square foot brick colonial is sold on an "as is" basis and will require some work, there is tremendous potential in it. This four bedroom, one bath home features a fire place and a two car garage. The property sold for $62,000 in 2007. However, it is currently available for only $3,180, which makes it a tremendous bargain for the right buyer. More information about this home is available here. 6717 Grandmont is your Featured Place to Live for this week. Bing Warns of Dire Consequences. Again.